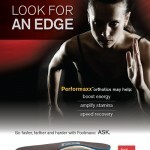 Athletes, retail associates, and emergency personnel aren’t the only ones who spend time on their feet. Whether it’s standing to make dinner, walking through the mall, or shoveling the driveway, our feet are our foundation and need care and attention. Examining the biomechanics of feet is exceptionally important as they can affect how the rest of the body functions. The experts at Back to Health uses a system that measures weight distribution at contact points along the bottom of the foot to analyze the way a person walks. This analysis identifies potential problems with the rest of the body, including the hips, knees, back, and feet and allows treatment to be identified by the Back to Health team. 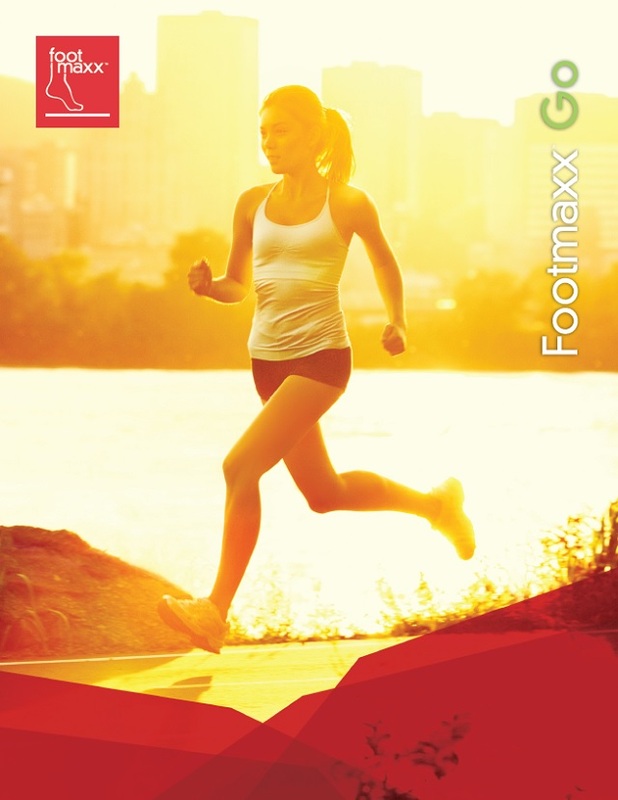 A gait analysis is a detailed look at how you walk. A lot of information can be determined by analyzing how a person walks. The mechanisms by which the foot loads can affect the rest of the body. It is for this reason that it is very important that we consider your foundation – your feet – when we are looking at how the rest of your body is functioning. What is a foot scan? A foot scan is the method by which we examine the biomechanics of the feet. 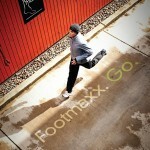 We use the Footmaxx system for gait analysis. 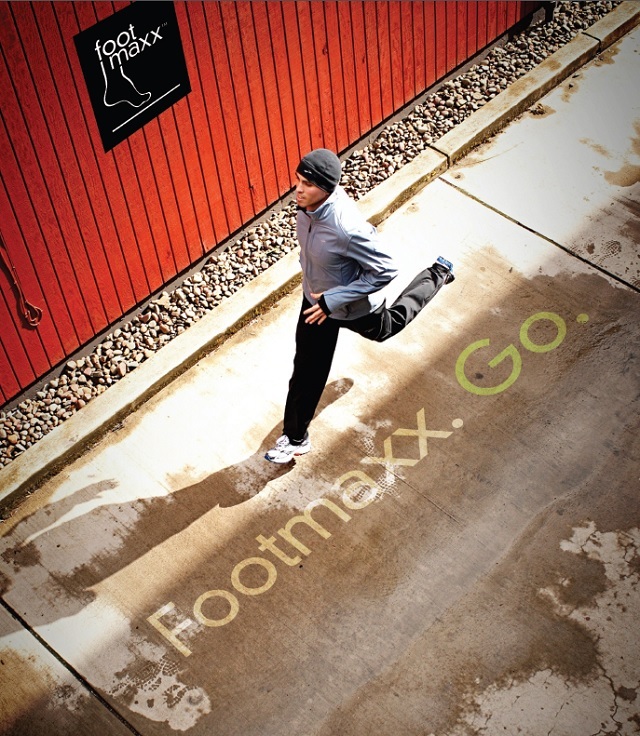 The Footmaxx system provides a dynamic, weight-bearing computerized assessment of the biomechanics of a person’s feet. 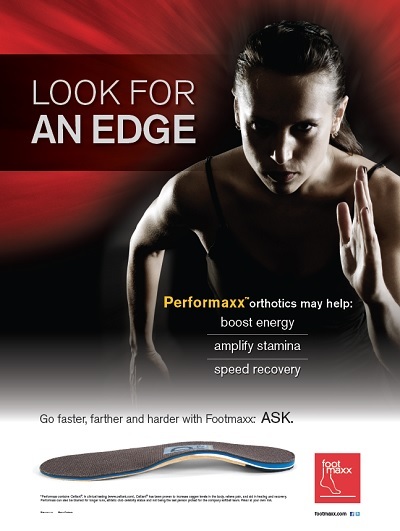 The system measures the weight distribution at all contact points along the bottom surface of the foot. It measures and analyzes the way a person walks, because how we walk can cause potential problems with the rest of the body. At Back to Health Wellness Centre Keri-Lyn Dudgeon, our Kinesiologist, Bio-mechanics Specialist, and Orthotic Consultant can help you with a variety of services including: foot scans, gait analysis, spinal health education, shoe advice, orthotic consultations, and more. Call 613-237-3306 or email reception@back2health4you.com to book in with Keri-Lyn today! What does the foot scan tell you? 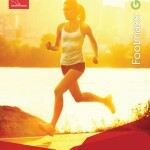 There is a lot of information that can be retrieved by having a foot scan. For example, by looking at the results of a person’s foot scan, we would be able to better understand why a person may be suffering from recurring shin splints, knee, or hip pain. If a person’s feet are sore first thing in the morning, or they have pain while walking on the balls of their feet, the scan will likely tell us why. The kinesiologist reviews the results of your foot scan with you in a follow-up visit. If there is a problem discovered with the feet, what is the next step? 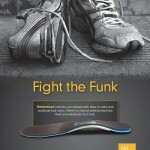 The best solution to counter problems with the feet is with orthotics. 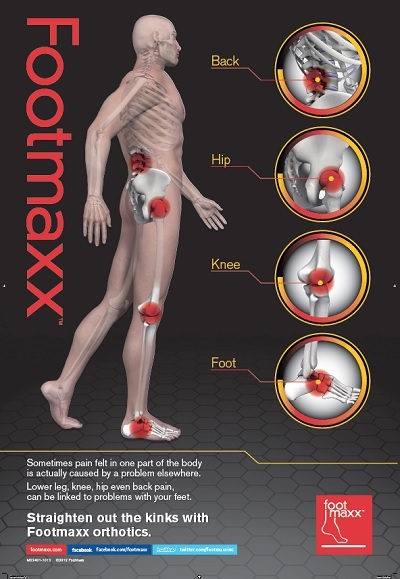 Remember the song, “the foot bone’s connected to the knee bone….” Biomechanical problems with the feet can cause a kinematic chain of events, resulting in aches and pains all the way to your hips and back. 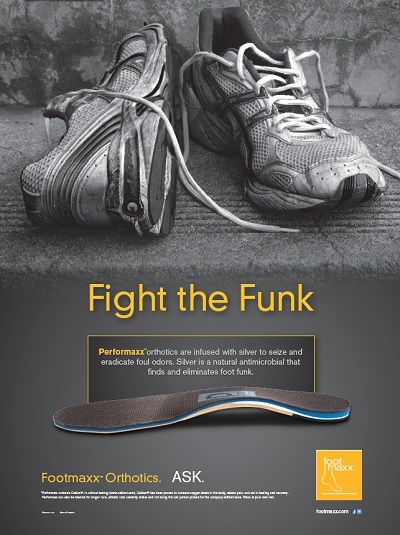 Orthotics are designed to counter any biomechanical problems in the feet and are the first step toward solving your overall biomechanical health.